Native to the eastern Mediterranean, anise has been successfully cultivated from southern Russia to India and South America. The mother plant, a member of the parsley and carrot family, grows about 2 feet high and produces the tiny, oval anise seeds from its flower heads. Anise seeds have a delicate, sweet licorice flavor similar to fennel. Anise Plant In Bloom In addition to is common use in rye bread, anise is a component of many candies and popular liqueurs (Pernot, anisette, ouzo, etc. ), both of which are popular after-dinner treats because of anise's breath-freshening qualities. Often Indian cuisine will feature candied anise seeds after dinner to combat the strong breath patrons get from curries and other Indian specialties. It's also said to cure hiccups. Anise is available both whole and ground. For best flavor, buy whole seeds in small batches and use quickly. 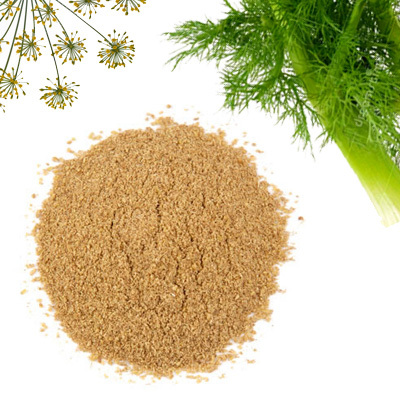 Anise is a soft seed and is easily ground.